In the aftermath of the 1989 Tiananmen Square protests, Chinas Communist Party had to re-establish legitimacy among the youth demographic that had sparked the movement, said Eric Fish, journalist and content producer for Asia Society, at an FCC lunch on September 17. It did so by overhauling the way it educated its young citizens and striking a tacit bargain: stay out of politics, and you can get rich. For two decades of torrid economic growth, this bargain had held firm, with Chinas post-Tiananmen youth supposedly numbed away from politics by nationalism and materialism. But as Chinas economy slows and a host of demographic and social problems worsen, Chinas millennials were being disproportionately affected while concurrently losing their inhibitions to speak out. Fish looked at these emerging trends and the socioeconomic challenges among Chinese millennials that were posing an ever-greater challenge to Chinas leaders. Fish lived in China from 2007 to 2014 as a teacher, student, and journalist. He worked for the Economic Observer in Beijing and wrote on Chinese politics, social issues, and education for outlets including Foreign Policy, The Atlantic, The Diplomat, and The Telegraph. For his book, Chinas Millennials: The Want Generation, he spoke with diverse youth from around China born in the 1980s and 1990s to explore how people of this generation were navigating the socioeconomic and political shifts unfolding in their country. The FCC community turned out in full force – and full fancy dress – on March 16, 2019, for the Charity Fundraiser On Assignment: Yesteryear’s Foreign Correspondent. Around a thousand members took part in a survey canvassing ideas for changes they would like to see at the FCC and the masterplan inspired by their answers is now finished. Simon Pritchard, a member of the Club’s House Building Committee, outlines its key points. 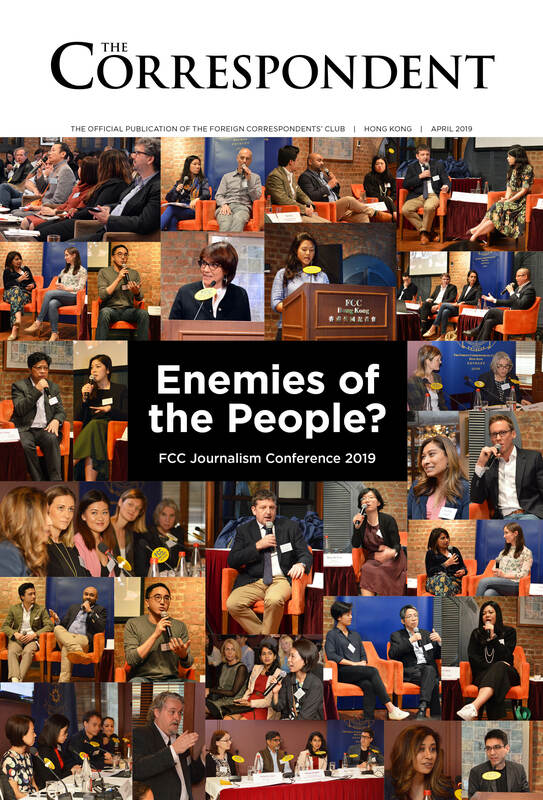 This year’s journalism conference brought together editors and correspondents from around the region under the title Enemy of the People? The Dangers of Being a Journalist in 2019. A very warm welcome to our newest members who, as always, are a varied and interesting bunch. If you see them at the bar, say hello. When artist Pam Williams first came to Hong Kong in 1996, she was armed with a sketchbook and a fax machine to record the build-up to the handover. Now she’s back and drawing daily life around the city and at the Club.